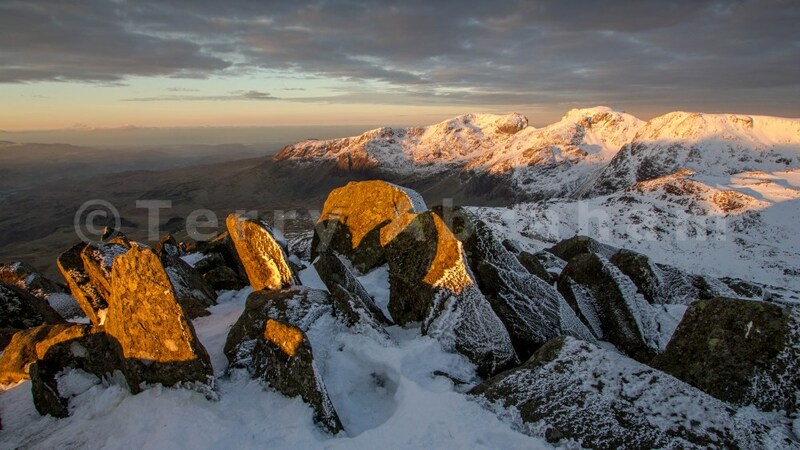 December dawn from Bowfell by Terry Abraham is one of twelve photos by members of the Outdoor Writers and Photographers Guild chosen by ViewRanger from the best of UK outdoor photography to decorate their offices. 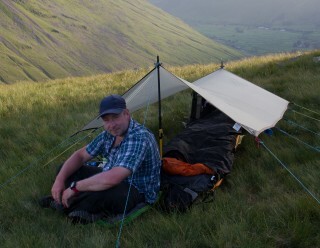 This scene involves the delightful sight of a snow laden Scafells at dawn seen from Bowfell. I was camped only feet away from the summit on deep snow. It was bitterly cold with strong winds despite it appearing rather cosy in the picture. I nearly didn't grab my camera to capture the unfolding drama as I was more concerned with filming it! I'm a prolific wild camper who is keen to promote the world-class scenery we have here in the UK and happen to be a self-taught filmmaker too. I've always had a passion for the outdoors and often refer to myself as a 'posh tramp' and an interest in video has always been there too. 3 years or so ago I was made redundant from my tedious 9-5 office job and brazenly jumped in with both feet endeavouring to forge myself a career in outdoors video - and I've not looked back since! I produced my first feature film 'The Cairngorms in Winter with Chris Townsend' last year which was released to widespread critical acclaim. For over 14 months now I've been busy filming something very close to my heart - 'Life of a Mountain: Scafell Pike'. A cinematic documentary featuring a year in the life of England's highest peak, including all those who live, work, care for and play around this iconic fell. It's while working on this film I took the two photos you're about to see.